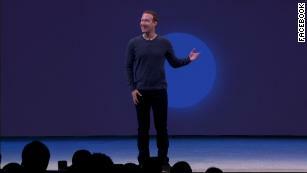 Chief executive Mark Zuckerberg said the feature is “for building real long-term relationships, not just hookups.”Users who choose to participate will click on a heart icon on their profiles, where they’ll be prompted to set up dating profiles, choose nearby events to go to, see the profiles of other singles who are also attending and start communicating with those people. The fact is, this could well be news you can use. The Harvard Study of Adult Development — one of the longest studies of humans ever conducted — found that good relationships are one of the most important contributors to our health and happiness. And there’s probably no organization on earth better positioned to — potentially — do that by leveraging what it knows about users who are singles. 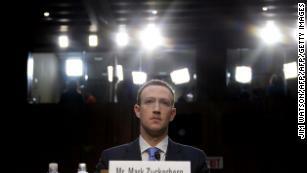 Still, after the revelations in March that a political consulting firm hired by President Donald Trump’s campaign accessed the Facebook data of tens of millions of users without their permission, many of us have become rightly concerned about how much Facebook knows about us — and what it does with that information. But here’s a scenario in which all that “intelligence” can stand to really benefit Facebook’s users. If you use the social network avidly, you can be sure it already “gets” you in uncanny ways. One study by researchers at Stanford University and the University of Cambridge found that data from Facebook could be used to understand a person’s personality with greater accuracy than could the personal knowledge of that person by their own family and friends. A data scientist at Facebook found he could also predict with accuracy which relationships among Facebook users would last. If Facebook harnesses its data and analytical prowess to match people whose personalities, interests and values are compatible, the company could help them find truly well-suited partners — better mates even (possibly) than the users might pick themselves. A Match.com study, for example, found that the kinds of matches that people were actually interested in turned out to be different from the kinds of matches they thought interested them. Facebook says its new feature won’t be matching people who are already Facebook friends. That’s an important privacy feature and makes sense, since friends presumably know one another anyway. But there is something that would make this service better: allowing users to see friends of their friends. It could make dating a bit safer and more comfortable — and encourage better behavior — if people meeting for the first time had friends in common. And it’s at least possible, if not probable, that people with common friends would be more likely to get along, have similar values and interests, and so on. Facebook’s practices have earned it censure and the wariness of its users. Many have abandoned it altogether. But this new feature is an example of exactly how the social network should be using the information we share — to help users make their lives fuller, happier and healthier. It’s a service I bet a lot of people will like.